The Board of Elections and Registration had received another 661 absentee ballots back by mail, Amos wrote me by email just before noon today. The county mailed out 921 absentee ballots. 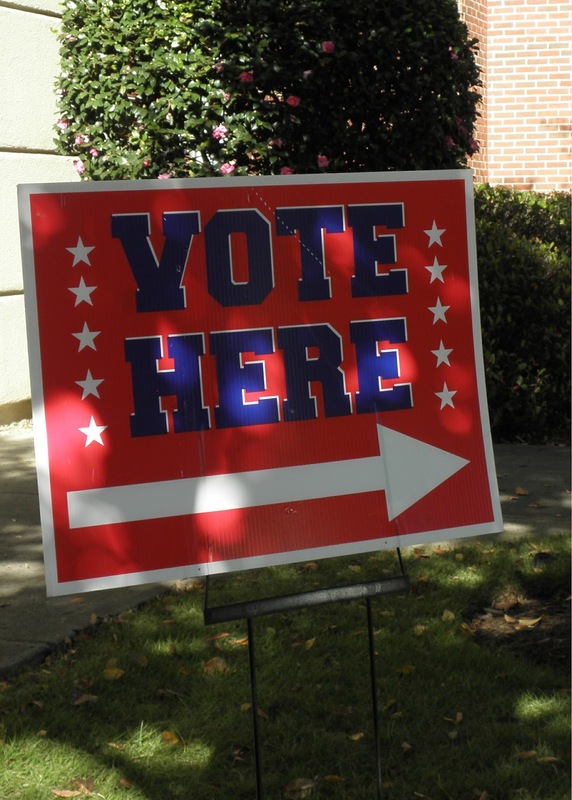 Oconee County had 22,407 active voters by Oct. 9, the end of voter registration. Another 1,727 inactive voters remain on the rolls and are eligible to vote if they demonstrate they live at the address under which they are registered. Early voting ran from Oct. 15 to Nov. 2 and included Saturday voting on Oct. 27. Because early voting has varied in different elections, it isn’t possible to set a firm standard against which to compare the 44.9 percent early voting turnout figure. In 2008, 84.4 percent of Oconee County’s eligible voters cast a ballot in early voting or on election day. If that ratio holds tomorrow, another 8,850 voters should show up at the county’s 13 polling places tomorrow. Polls will be open from 7 a.m. to 7 p.m. tomorrow. While Mitt Romney got only 26.0 percent of the vote in the March Republican primary, coming in second to Newt Gingrich’s 47.4 percent, he can be expected to get better than 69 percent of the vote in the county. That is the average vote for Republican candidates and independent Ross Perot in Oconee County going back to 1992. John McCain got 70.6 percent of the vote in Oconee County in 2008 to Barack Obama’s 28.1 percent. Four years earlier, George Bush got 72.4 percent of the vote. Bush got 69.1 percent in 2000. Dole got 58.1 percent of the vote in 1996, when Ross Perot got 7.0 percent of the vote. Their total was 65.1 percent. George H.W. Bush got 51.1 percent of the vote in 1992, and Perot got 14.6 percent, for a total of 65.7 percent.